This is a simple walnut Rectangular Mirror with a Half Round Top. The frame is deep and has been routed out to fit the mirror. 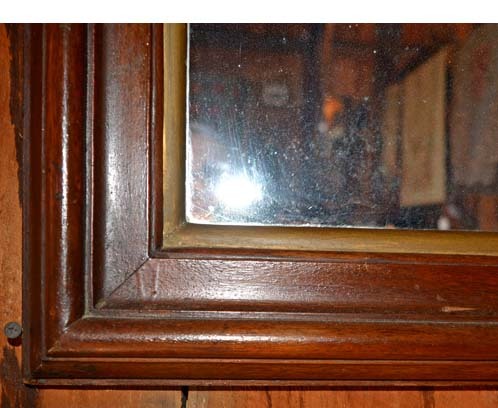 The glass is flat, as often is the case with this vintage piece. The unadorned mirror would blend with whatever decor is displayed in the surroundings without interfering with the style. 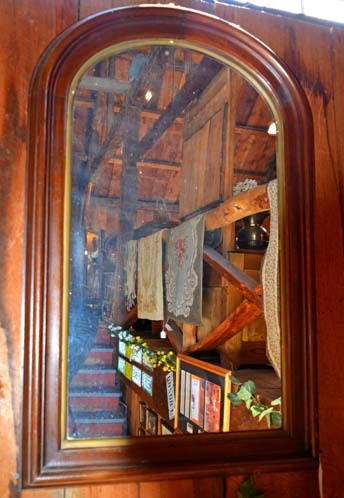 This mirror is on display at BARN ON 26 ANTIQUES in Gray, Maine.